All metal Freddy Krueger glove! An officially licensed duplicate of the screen-used glove of Freddy, the sinister madman who haunts his victims dreams from Nightmare on Elm Street movies. This glove features copper like fingers with flat rivets and shiny steel blades (not sharp) and a leather-like glove underneath. 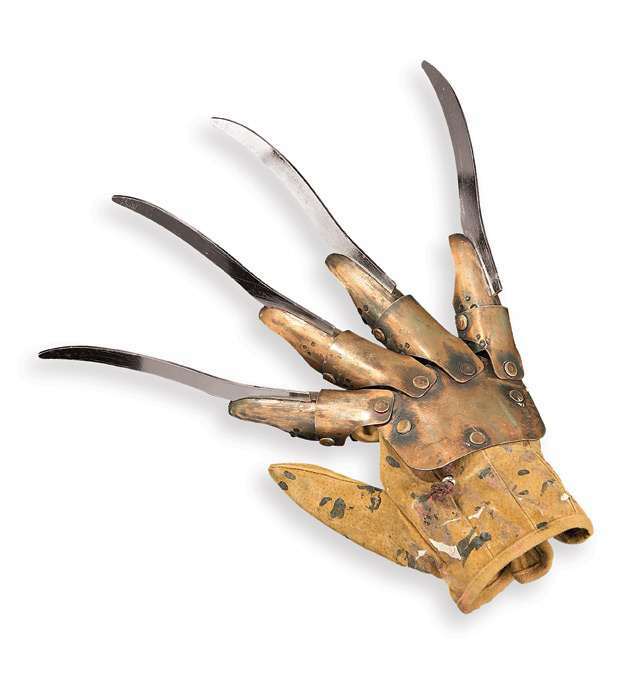 Complete your Freddy Krueger Halloween costume in perfect fashion with the metal Freddy Glove!